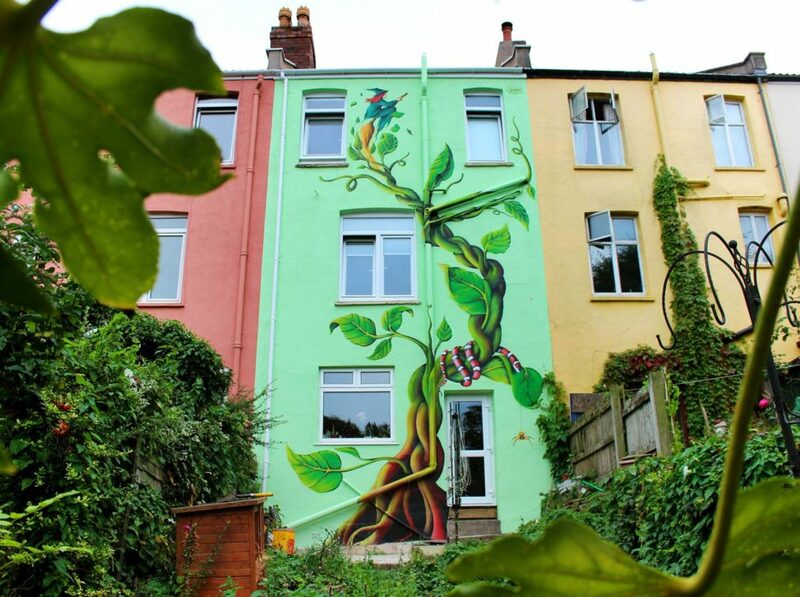 I was very inspired by Rachel’s idea of having a giant beanstalk on her house! 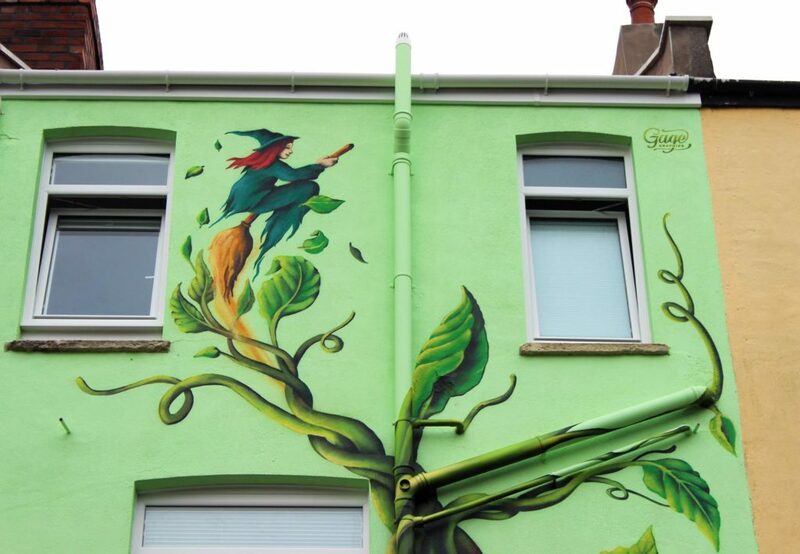 I fitted my design the best I could around the windows and drainpipes which was a tricky composition. 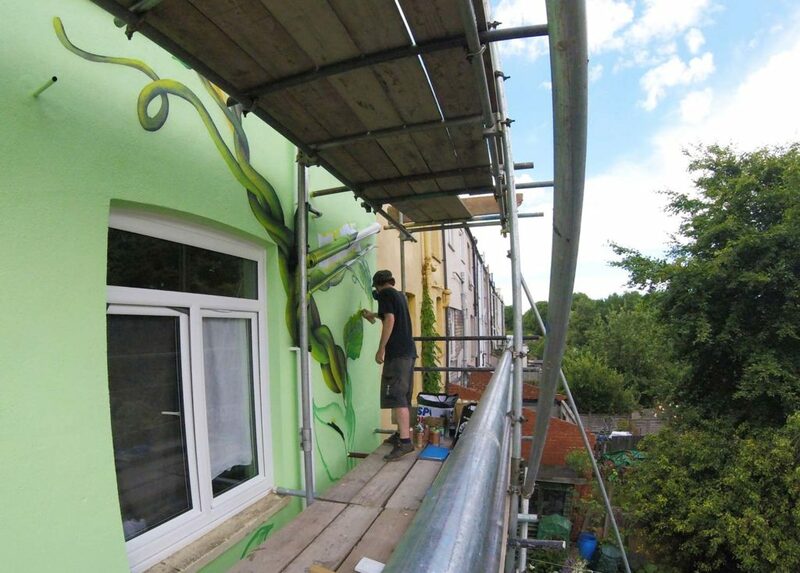 A scaffolding allowed me to start from the top of the house, I felt confident painting this improvised vine and managed to finish the whole thing in 3 days. I added hints of red and yellow which can be seen on the neighbours’ houses to help the design blend in. Rachel writes for the South Bristol Voice as the Wicked Witch so it was important to include her alter ego in there somewhere! 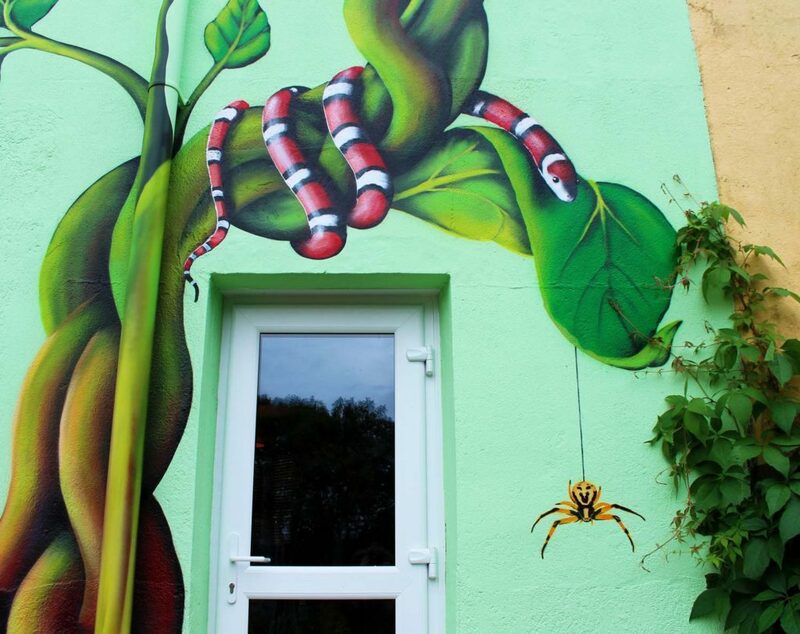 She also likes snakes and spiders haha, no surprise there, so we combined our ideas to create a fun and surreal mural.